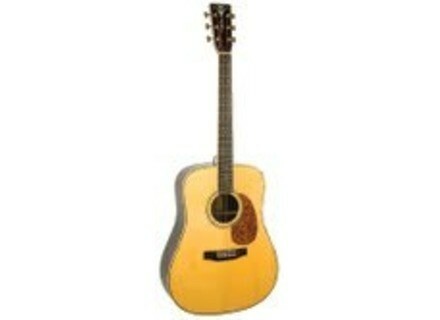 RD-327, Dreadnought Steel String Guitar from Recording King. The brand also owns a Custom Shop USA department. The RD-327 is an all-solid dreadnought model with a nice nitro lacquered finish that really makes it look like a high-end Martin. 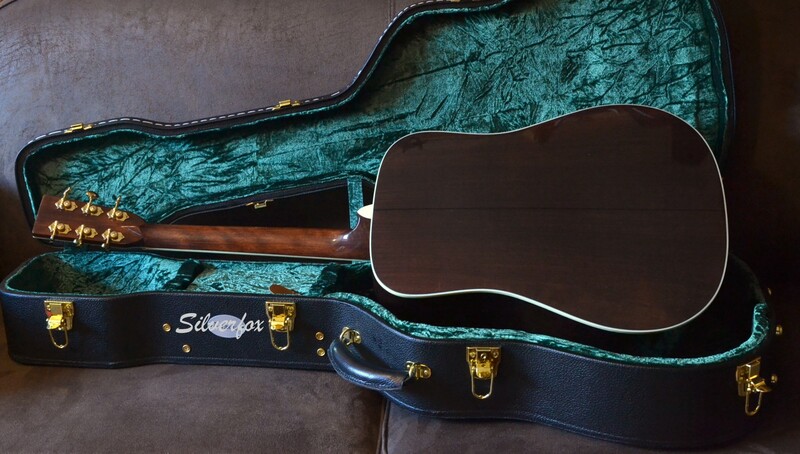 This guitar is made of high-end wood. 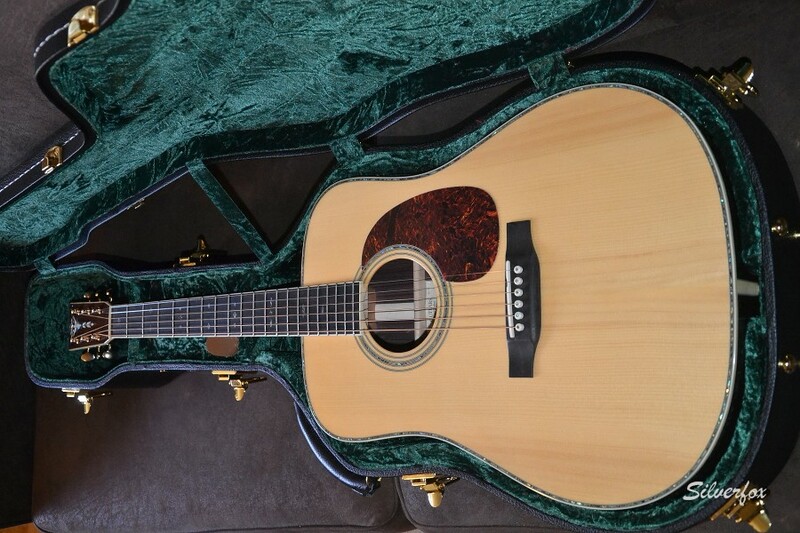 It features an AAA adirondack spruce top, a solid Indian rosewood back and side, a solid mahogany neck and a very dark ebony fretboard – all very good! 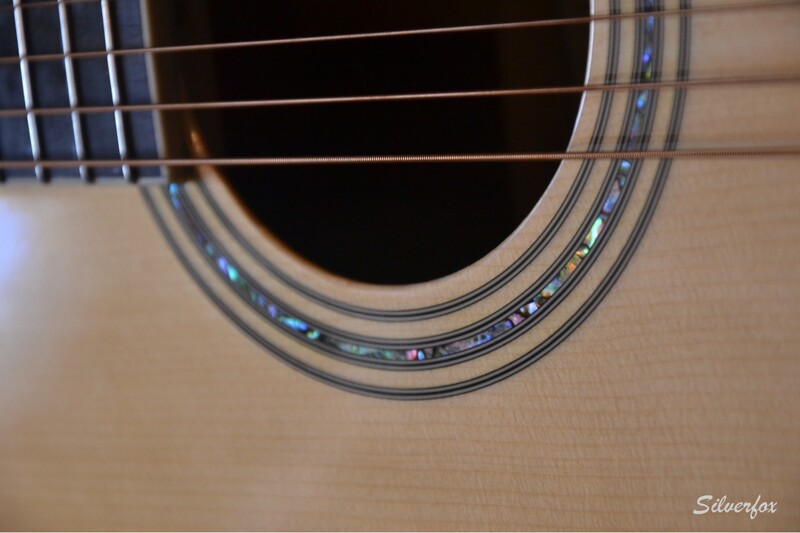 This guitar’s features are very alluring, but I read on other forums that the finish was not always up to par. 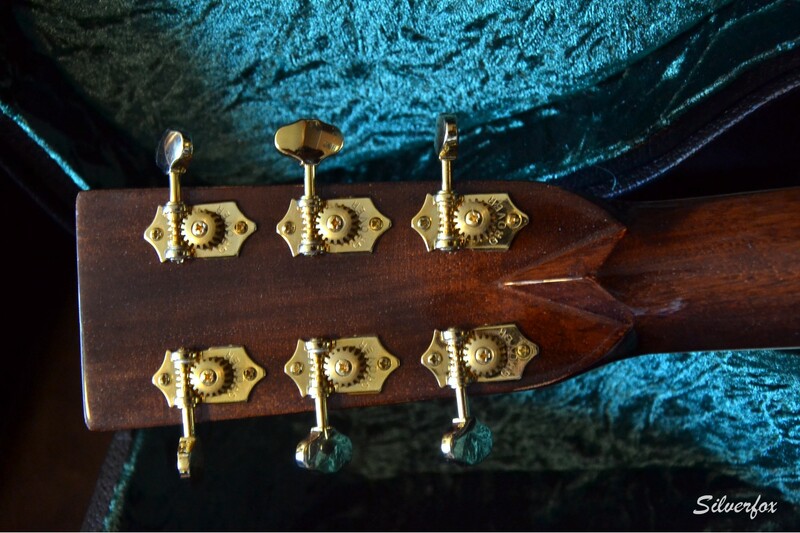 It is assembled in Asia (hence the price) in an industrial manner, which could lead to mistakes in the nut and bridge’s alignment, to some glue remains on the fingerboard or to frets disposed past the neck’s width. Since then, the brand has the great idea to establish a quality control department in California, which also happens to be where most get shipped from. 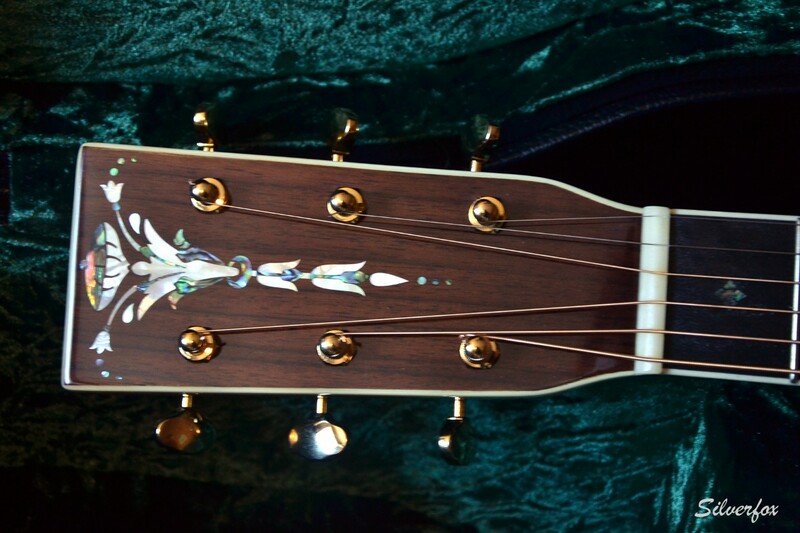 The “Torch” inlay on the head ans the gold-plated vintage style Grover open-gear tuners give it a stylish look. The instrument is a lightweight, the alignment is perfect, so is the action – nothing to be said except of course “great job”. The V-shaped neck is pleasant, its ebony fingerboard provides a great comfort while playing. And – what a sound! Both subtle and clean in fingerpicking, powerful and clear with an excellent projection in strumming. Perfectly balanced and adapted to all playing techniques. Just to mention: albeit new, the guitar does not suffer from a lack of lows, as I’ve read here or there on some other reviews all over the web. 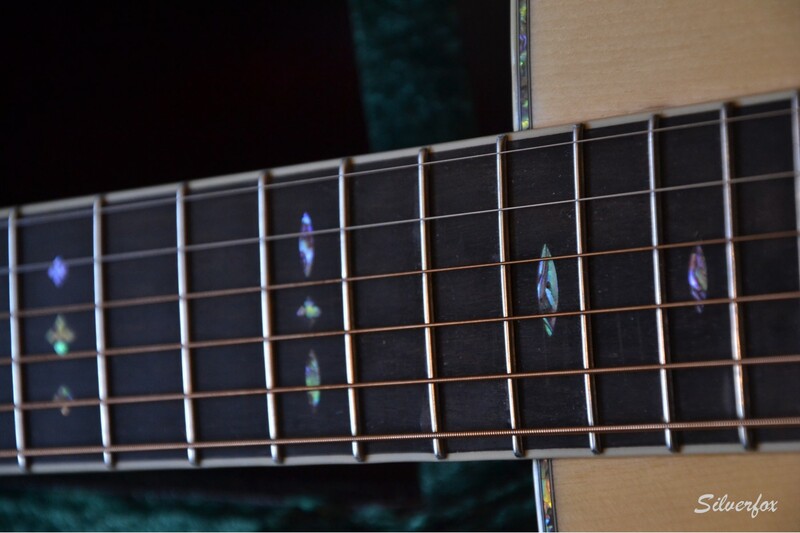 A guitar’s sound quality largely depends on the choice of woods. Guitars made from the best tone woods often cost several thousand euros. Here, Recording King proves that a good guitar doesn’t have to cost an arm and a leg, and this instrument perfectly illustrates that as it’s an affordable acoustic folk guitar made from high-quality solid woods. 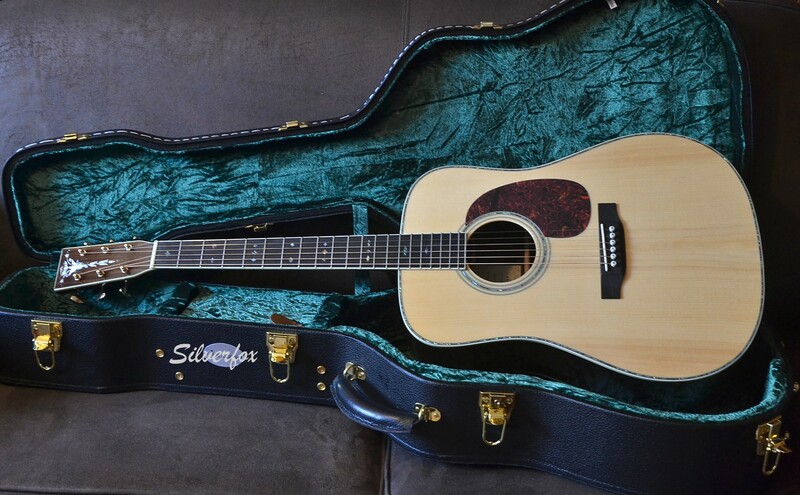 In a nutshell, it’s an excellent and remarkable Dreadnought guitar with the features (and sound quality) of a prestige brand. Time will tell, but I’m confident.